In addition to regular dental visits, good oral hygiene is essential to help your smile last a lifetime. By caring for your teeth, you’re making a small investment that will pay huge dividends in your self-confidence—not to mention help prevent more expensive problems down the line. At Warshauer & Santamaria, we are committed to taking an active role in patient education about home care practices. We will be happy to demonstrate correct brushing and flossing techniques and to answer your questions about maintaining oral health. We can also help address special concerns such as tooth sensitivity or caring for dental restorations. Good oral hygiene and regular dental visits will help your smile last a lifetime. At Warshauer & Santamaria, our doctors and dental hygienists are specialists with years of experience educating patients about home care practices. 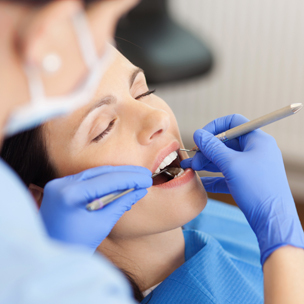 We will give you personalized care instructions after each appointment to keep your teeth looking and feeling great. Feel free to contact us if you have any questions about home care education or to schedule an oral health consultation with one of our doctors.